A new batch of spy photos gives us the first look at the next-generation Nissan Altima. 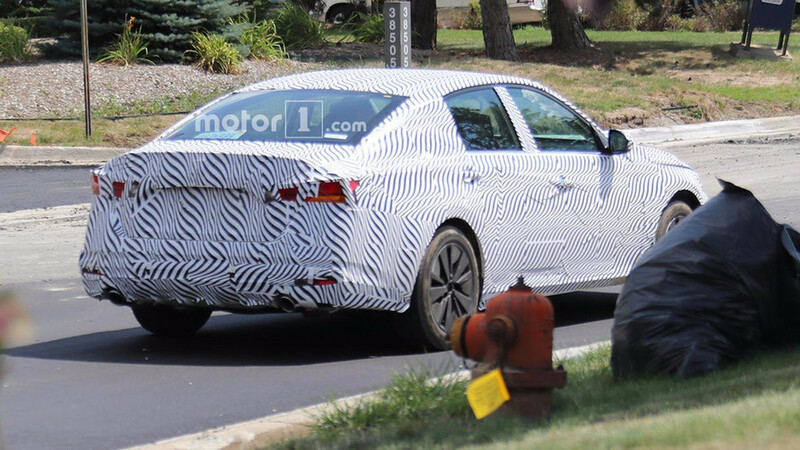 The sedan is under heavy camouflage, but the automaker can’t hide the model’s general look. 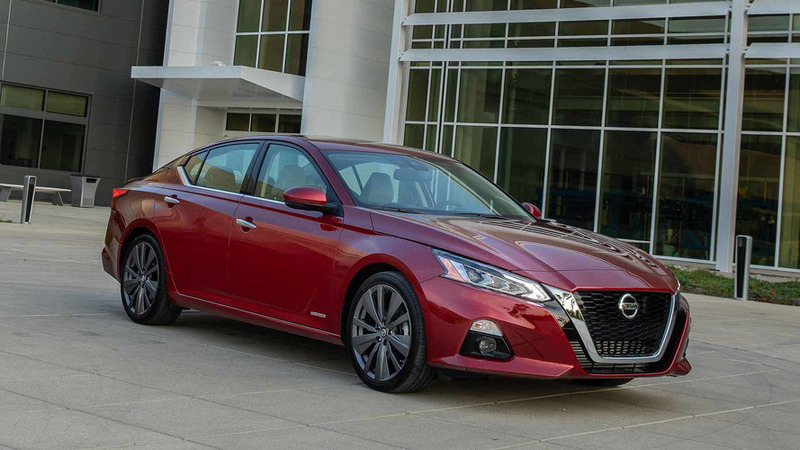 The new Altima follows the latest Maxima’s move toward a more angular look. The large, V-shaped grille takes inspiration from the piece on the Vmotion 2.0 Concept. Like the show car, this test mule has headlights that are angled into the center, but they aren’t nearly as avant-garde. 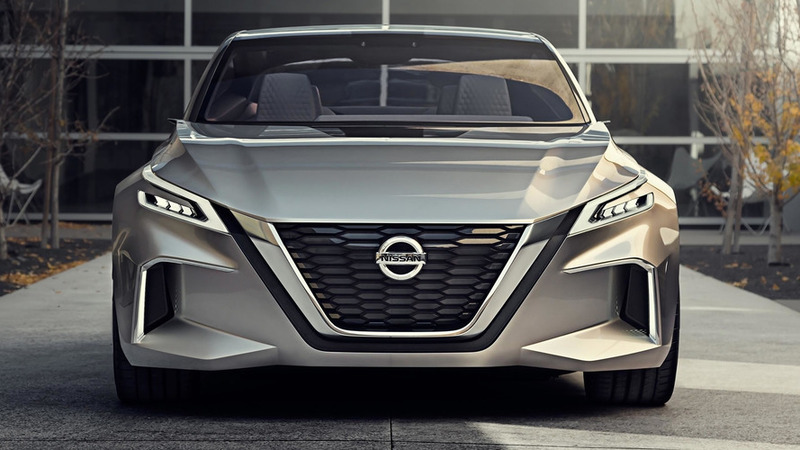 Where the Vmotion 2.0 Concept features hard creases on the vehicle’s side, this Altima appears rather flat. The vehicle is just a test mule, though. 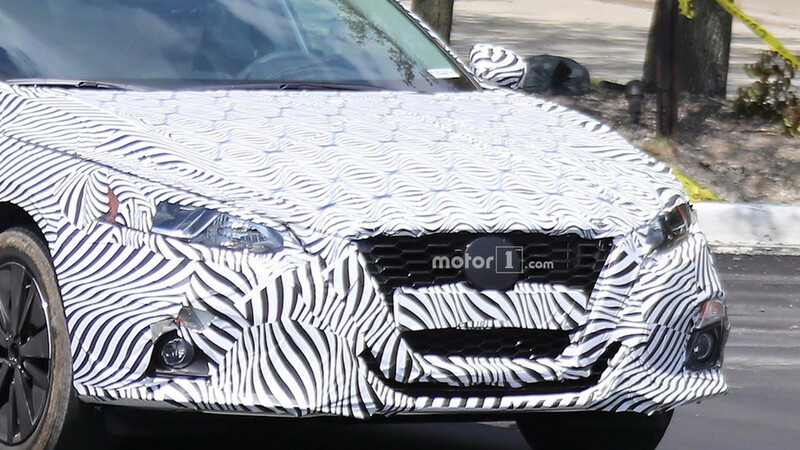 It’s possible that the camouflage could be concealing styling details, so we can’t make any conclusions yet. The rear end looks fairly muted, too. The Vmotion 2.0 has heavily sculpted tail with a flowing roof. 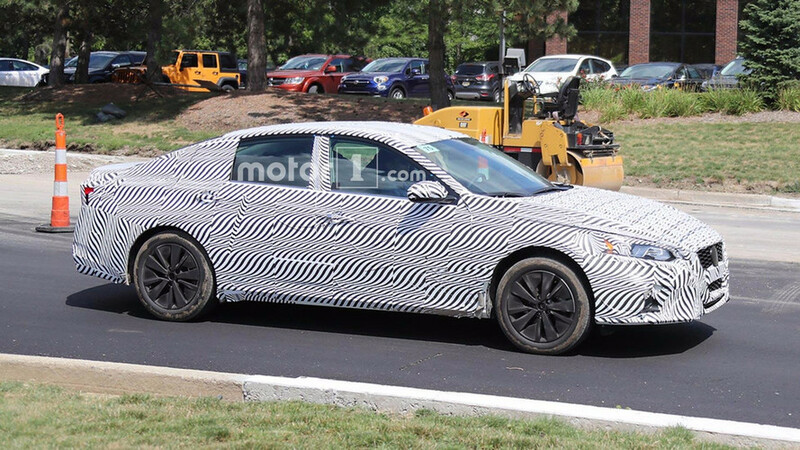 These spy shots show a vehicle that looks like a typical sedan. There’s not a lot of style evident here at this point. Competitors like the newly updated Honda Accord and Toyota Camry have switched to more stylish shapes with prominent lines. 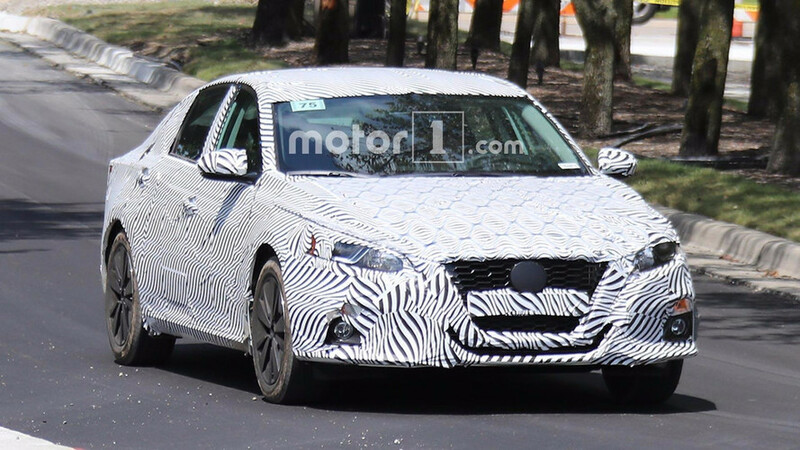 Given the adventurous designs of the latest Maxima and Murano, it’s possible that Nissan might be keeping a wilder look for the Altima under the camouflage. Under the skin, there should be some tech upgrades. 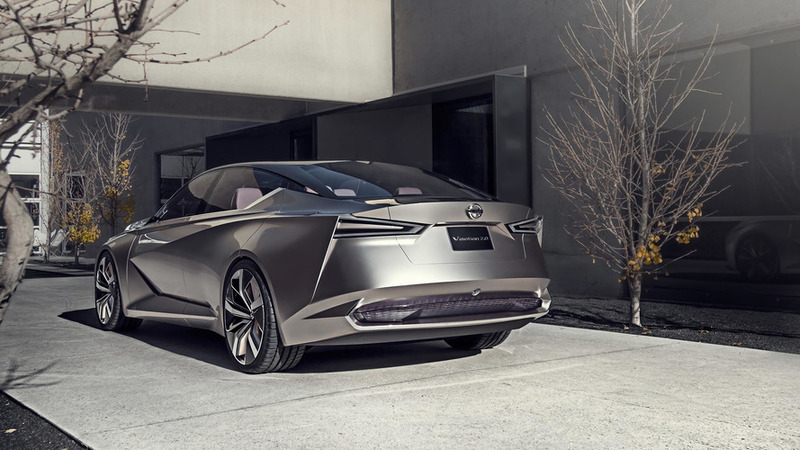 For example, some aspects of Nissan’s ProPilot semi-autonomous driving system would probably be available, at least as an option on higher trim levels. The new Rear Door Alert also seems like something the company would add. Powertrain changes remain a complete mystery. 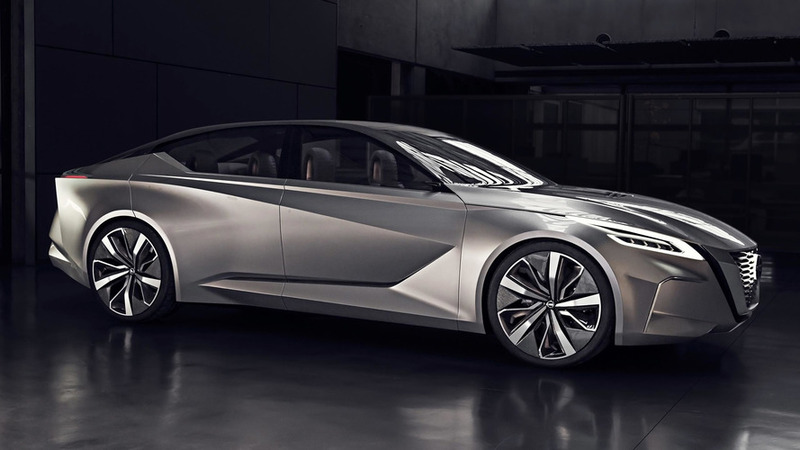 Nissan seems slower to embrace down-sized, forced-induction engines for its models, so the firm might continue to stick by natural aspiration.